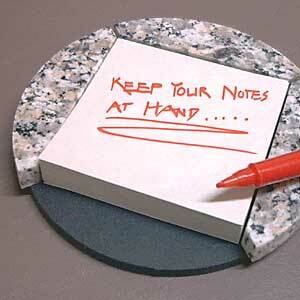 Keep your desk neat with this granite base for your self-stick notes. It's hard enough to remember everything else. At least this way, you'll know where the note paper is! The natural stone frames the notes, keeping your desk clean and uncluttered. Can be refilled with standard 3"x3" post-its.